We are back with another fun recipe that includes one of our favorite staples: rice. This time we are using the Minute® Ready to Serve Rice cups to make a perfectly portable lunch or dinner. We made one of our favorite recipes and it turned out beautifully. Read on for our Beef and Broccoli Recipe. When we create new recipes, I am always on the lookout for foods that I consider wholesome plus I like a lot of variety. My husband can probably 45-50 different rice recipes and that is because rice is one of the most versatile staples. There is really a flavor for every member of your family and then some. Did you know September is National Rice Month? Rice is something that my family and I enjoy year round. 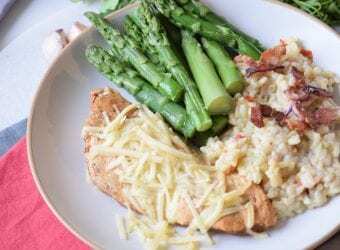 We love creating new recipes with rice and I absolutely love the versatility of rice. You can have it for breakfast, lunch and dinner. 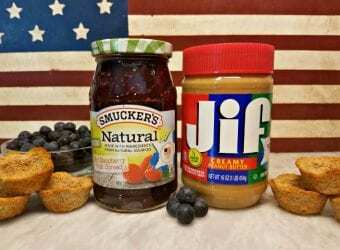 In a medium bowl, mix together the water, hoisin, soy, cornstarch, vinegar, sesame oil, garlic, ginger, pepper, and sesame seeds. Add the steak to the sauce mix and allow it to rest for 15 minutes. Heat the peanut oil in a large saute pan over a medium high heat. 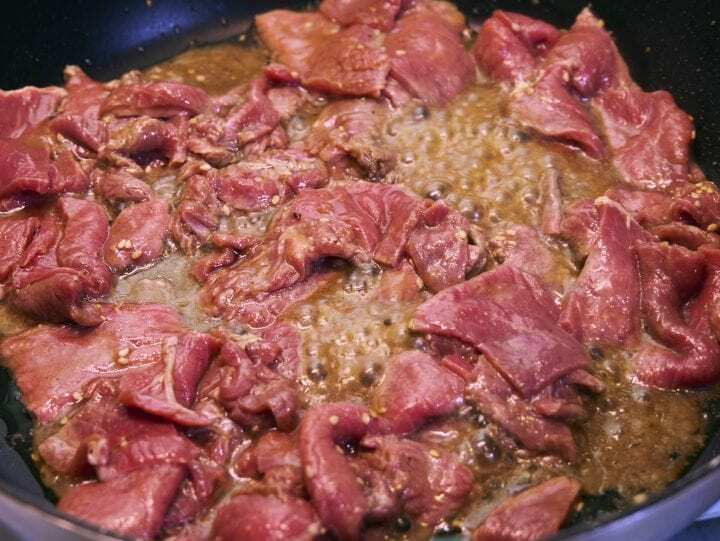 Remove the beef from the sauce and saute. While the steak cooks, place the broccoli and onion in a microwave safe bowl. Cover with plastic wrap and microwave for 2-3 minutes. Add the microwaved vegetables and the left over sauce to the saute pan. Cook for 2-4 minutes, or until the sauce thickens. Prepare the Minute Rice portion cups according to the package directions. Place the rice on a plate, and top with the beef and broccoli. That looks so good. I love Asian food, but I’ve never tried making it myself. I’ll have to give this a try. It looks pretty easy to make. 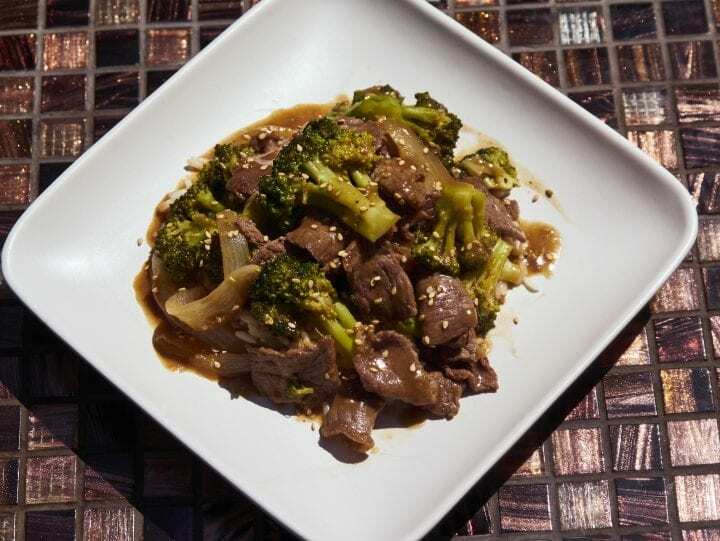 Beef and broccoli is one of my favorite chinese food dishes. It’d be great to be able to make it at home whenever I wanted. Thanks for sharing! That looks do delicious!! I love how quick it is to make! I can’t wait to make it for the kids! Yummy! I love beef and broccoli and cant wait to try this recipe.. Thanks for sharing. That looks so yummy! My hubby makes a mean beef and broccoli. I’ll have to share this recipe with him! Thanks! 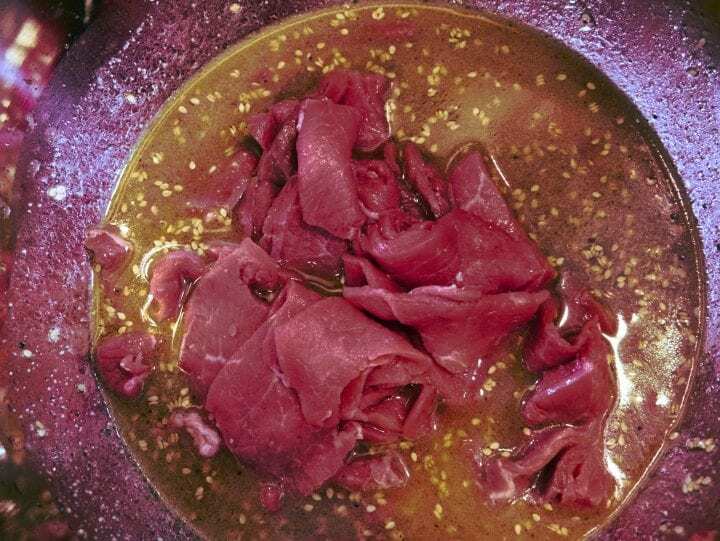 Honestly, I am jelly to cook this – I love beef and broccoli, but it is not a popular dish in my family. 🙁 I wish I could make this just for myself – I will keep the recipe handy for one of those alone-me time type lunches! Thank you so much for the beautiful tasty pictures! 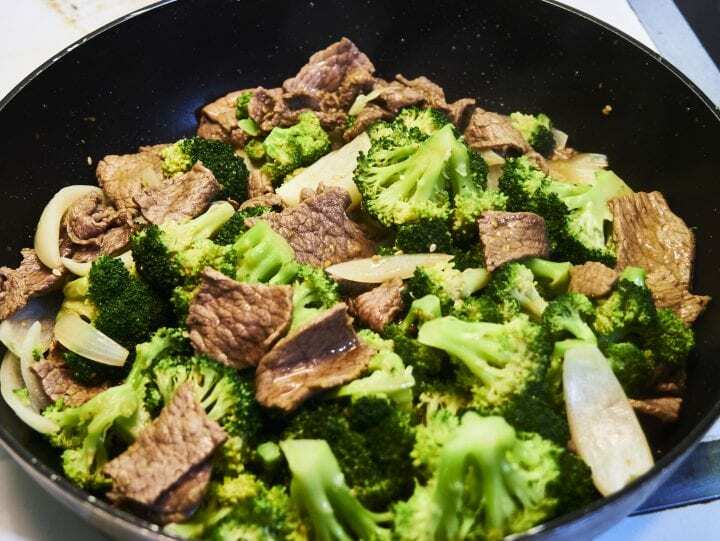 This beef and broccoli recipe looks so delicious. 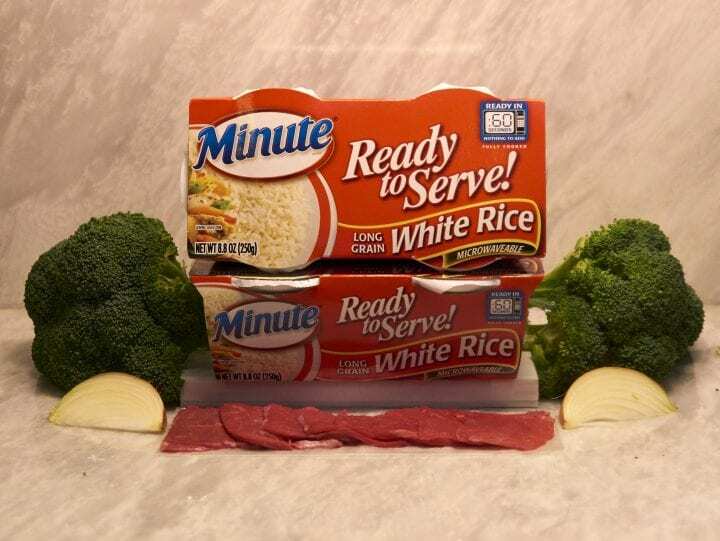 I love using Minute Rice in my recipes and have for years. Thanks for sharing this awesome recipe and I didn’t know it was National Rice Month. Oh wow that looks delicious! I just bought some rice and broccoli today so this is probably what I’ll be making for dinner. My husband love beef and brocolli. Speaking of which, it’s been a while since I made it so thanks for the inspiration, I might make some tomorrow. I only eat “rice” made from cauliflower these days but I always use Minute Rice for my family when I make stir fried and other dishes like this. 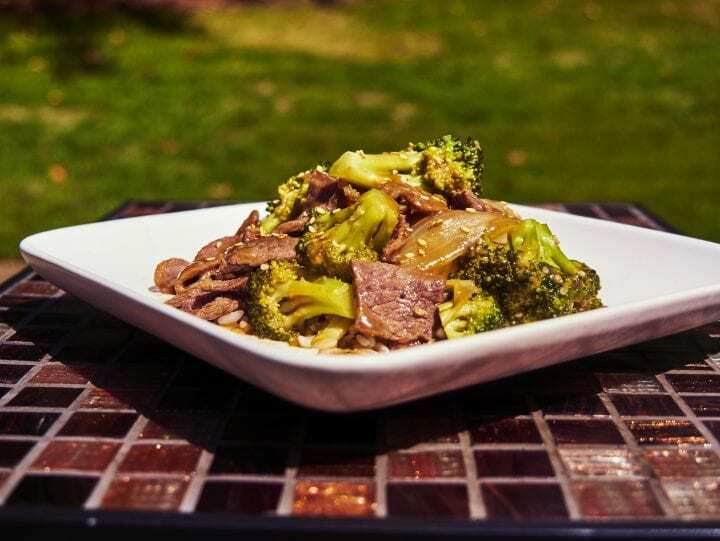 I’m going to give your beef and broccoli a try – one of my favorite combinations! The recipe sounds really good, yet very simple to make. Thank you for sharing, Might make this for the kids soon. Perfect timing! I was just thinking of searching for a beef and broccoli recipe after having a delicious one at the Chinese restaurant the other day. Thanks for the recipe! Oh, I haven’t tried this. I will try it tomorrow, need to shop for supplies. I love beef and broccoli, but I always get lazy and get those pre-made packages. Also, I’ll have to try yours out. Thanks for sharing this. This looks really good! I love that you incorporated quick-cooking rice to make the entire meal easier. I never used to be a fan of instant rice (my dad was a rice snob, really) but I love it now, it’s just so much more convenient and just as delicious. I’m trying to get my family to do more eastern food, it’s amazing. Beef and broccoli is my favorite Chinese dish. 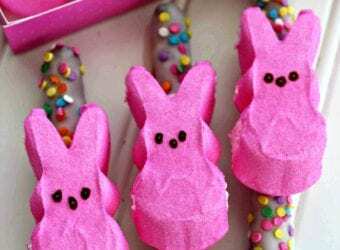 I’ve always wanted to make this at home so I’m glad I came across your recipe! Looks good! I love, love, love beef and broccoli! This looks like a great recipe and you really can’t go wrong with Minute Rice. This looks so good! What a great dinner option, I’ll have to try it soon! Thanks for sharing! I love beef and broccoli!! 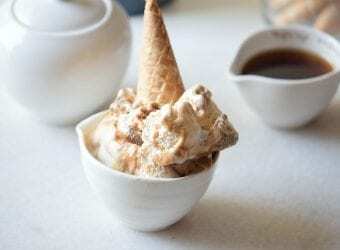 I haven’t found a good recipe to make it at home, but this one looks really easy and delish!! Oh, yum! This looks so delicious and I love how you captured each step!